To discuss potential Dynamics 365 options and find out how Strategy 365 can help your business, drop us a line or give one of our experts a call. We’ll be happy to assist you. If you are already a client of Strategy 365 and require technical support, either call us on the above number (select option 2 for support) or send an email to support@strategy365.co.uk. 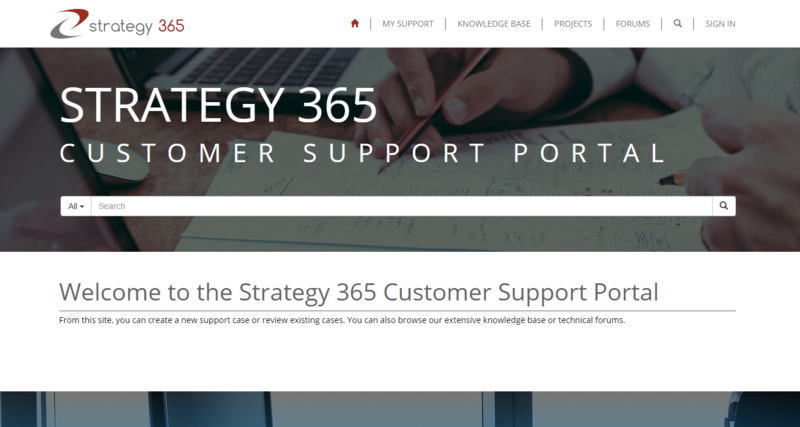 Existing Strategy 365 clients can also view existing support cases, create new ones and even collaborate with us on projects, via the Strategy 365 Customer Support Portal (see screenshot below).